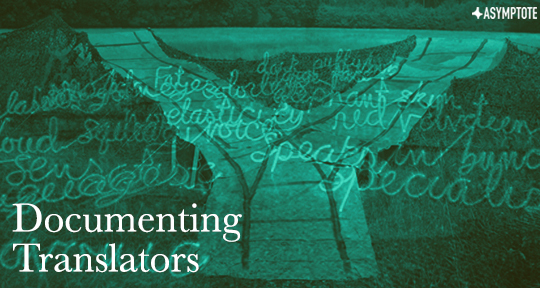 The latest in translated fiction, reviewed by members of the Asymptote team. Looking for new books to read this April? 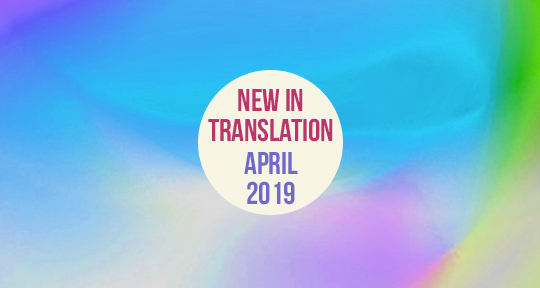 Look no further with this edition of What’s New in Translation, featuring new releases translated from Thai, German, and Brazilian Portuguese. 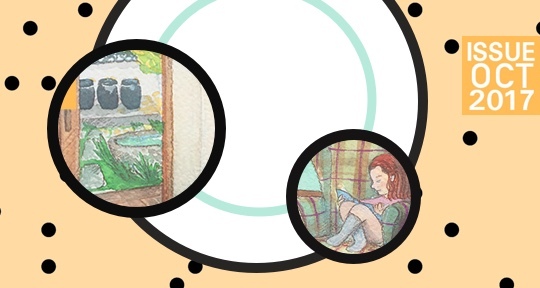 Read on to find out more about Clarice Lispector’s literature of exile, tales of a collection of eccentric villagers, and a comic book adaptation of Bertolt Brecht. 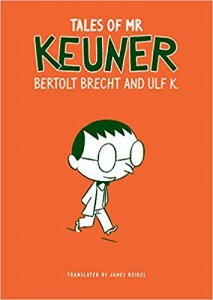 If Brecht’s bite-sized, biting tales of Mr. Keuner can be thought of as a corpus, it isn’t by virtue of their “what,” “when,” “where,” or “how”: they deal with everything from existentialism to Marxist politics, have often hazy settings, and run the gamut from parable to poem; it’s the titular “who” that pulls these sundry musings together. This book is as much a novel as it is a repudiation and critique of novel-writing. 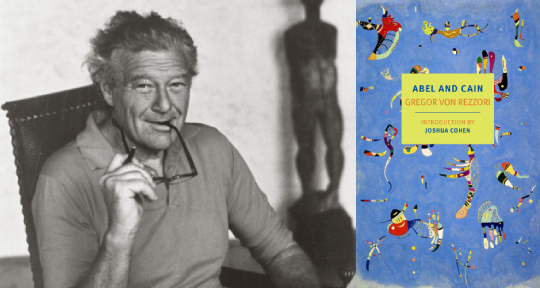 Gregor von Rezzori published Der Tod meines Bruders Abel in 1976, and the book was translated by Joachim Neugroschel into English in 1985. What the back of the book describes as a “prequel” (the term doesn’t quite fit) was published posthumously in German in 2001 as Kain. Das Letzte Manuskript and appears for the first time in English in this edition. The book is structured by four folders that lie in front of the narrator after he enjoys an evening with a prostitute: “Pneuma,” “A,” “B,” and “C.” The contents of the first three folders compose the first book (“Abel”), while “Cain” unveils the last folder (“C”). These chapters are not stories of failed relationships; they are stories of a woman trusting herself and giving herself to others without regret. 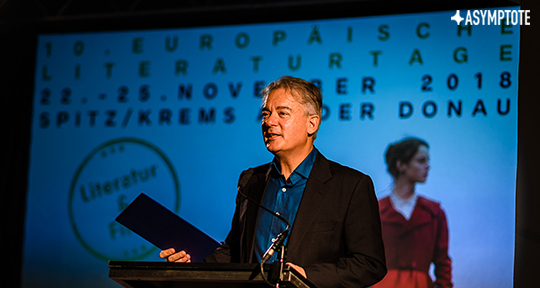 Monique Schwitter’s multi-award-winning One Another, a contemporary set of love stories with classical echoes, was described in Switzerland as having “the gentlest gaze and the hardest kick.” The original (Eins im Andern) was shortlisted for the German Book Prize before winning both the Swiss Book Prize and the Swiss Prize for Literature. Tess Lewis’ English translation, published by Persea Books, is our Asymptote Book Club selection for March, and is currently heading to our subscribers across North America and the EU. 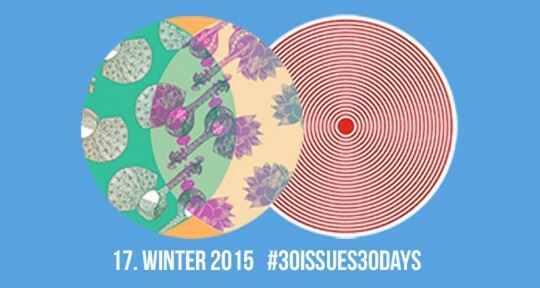 To join us in time for next month’s title, you can subscribe via our website. A significant project: to rethink the world within a time of political and economic crisis, wherein the female body is particularly precarious. 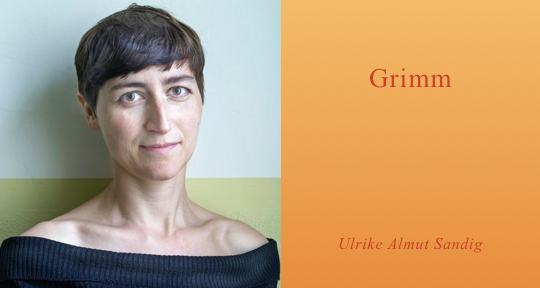 “Is someone shaking the stories”, asks the narrator in the penultimate poem from Grimm, the new collection by the German poet and performance artist Ulrike Almut Sandig, translated by the German scholar Karen Leeder and published by the Oxford-based Hurst Street Press. The collection’s slant retelling of the Grimm tales, considered integral to the German psyche, belies a significant project: to rethink the world within a time of political and economic crisis, wherein the female body is particularly precarious. 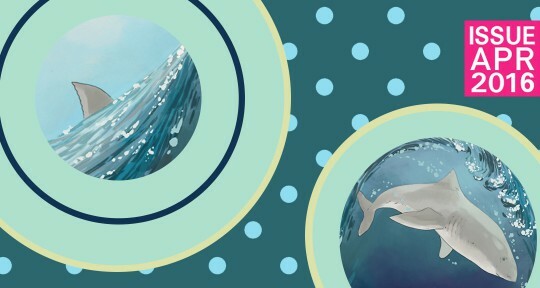 Myth, legend, and folklore provide frameworks to writers and readers across all languages and cultures within which they can understand and contextualise crises, serving also as survival strategies for everyday existence and persistence. Grimm focuses on concerns that are central, yet which are by no means exclusive, to Germany, including, the rise of the far-right, misogyny and patriarchy, and the refugee crisis. The collection’s success is that by presenting itself as a poetic cycle, and by its use of language, it suggests that all these phenomena are related. Moreover, if the Grimm tales represent the collective German imagination (indeed, according to the critic Jack Zipes, the Brothers Grimm collected their tales in order to uncover the linguistic “truths” that formed the German people), Sandig reveals its violent, misogynistic, and patriarchal dark side, connecting the tales to the fascism, patriarchy, and racism of the German present and past. If, as Leeder notes, the collection directs a “rage” at this collective consciousness and the injustices it undergirds (‘Grimm’ also means ‘rage’), this rage is inscribed within the broken language of the women to whom Sandig’s retellings give voice. We can see this at work in the poem “Fitcher’s Bird”, taken from the tale of the same name where a young girl is kidnapped by a man who wants to marry her against her will. During her confinement, the girl discovers the mutilated bodies of her sisters who had previously disappeared from the village. She brings them back to life, escapes disguised as a bird, and then musters the village to exact vengeance on her kidnapper. 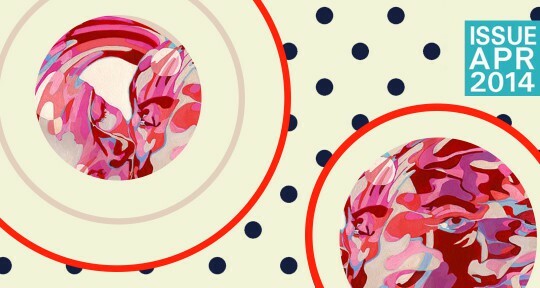 In the poem, the girl is multiply alienated from herself. Not only does her confinement alienate her from her body and the outside world, so does her disguise as her friends no longer recognise her: “I am an odd/ bird, nobody/ knows me, I/ scarcely know/ myself.” Crucially, this alienation is rendered linguistically. Her imprisonment and her kidnapper’s mutilation of her sisters confine her voice in short, staccato lines, of which the protagonist is well aware: “a globe is/ stuck in my throat/ that I can’t get down […] the beautiful bodies/ of my sisters are/ piled inside.” At the poem’s end, the girl resolves to “make/ all those anew, all those/ who were butchered overnight”, intimating how Grimm in its entirety interrogates the conservative, sexist didacticism inherent in the Grimm tales by exclusively representing female characters that resist patriarchy and sexism. The collection’s opening poem, ‘Grimm’, connects the girl’s linguistic crisis with a political crisis. Two characters write messages on eggs which smash due to the urgency of their communication, their need to express their concerns. Then, most unnervingly, they “raised [their] sticky arms/ in salute and waved in greeting. then/ lowered [their] heads to a well-nigh limitless/ supply of fragments and rage most grim.” Their rage at the status quo, their political impotence, has broken their language, their selves, and their world-view. In the poem, the girls’ rage, their inability to express their needs or have their voices democratically represented has been misdirected to support the far-right, half-concealed here in the Nazi salute. All they are left within this tragedy are the broken eggshells of their words and a right-wing anger that, thanks to Leeder’s wordplay, is ‘grim’: both evil and implicated within the German cultural consciousness synecdochically represented by the Grimm tales. 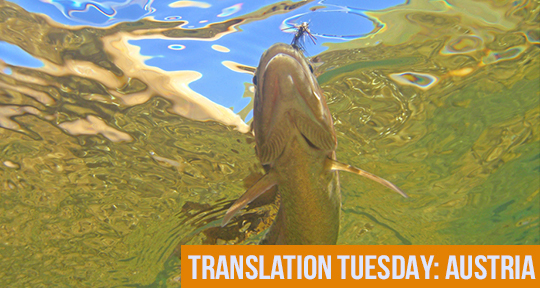 Translation requires an inner urgency that will make that which is different as close to the original as possible. On how many pages have I appeared and disappeared? Murathan Mungan likes to describe himself as a polygamous writer: not only does he write plays performed across Turkey and Europe, including his widely acclaimed trilogy, The Mesopotamian Trilogy; he also writes essays, song lyrics, poetry, and novels that have brought him national recognition as one of the most inventive Turkish authors for the use he makes of the Turkish language. Being himself of mixed origins (Arabic, Turkish, Kurdish and Bosnian), he is very sensitive to the life of underrepresented groups such as women, Kurds, the LGBTQI+ community, and explores taboo themes in his creative writing. 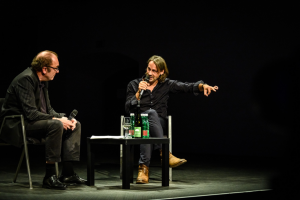 I interviewed Mungan in the Czech Republic in the Month of Authors’ Reading Festival where the guest country was Turkey. His latest works include a novel called The Poet’s Novel and a play, The Kitchen. He is currently working on a novel describing the urban aloofness of Berlin. Filip Noubel (FN): Murathan, you embody a plurality of personal origins, and seem to favor characters from various minorities. Why is diversity essential in your life and in your work? And how is it perceived in Turkey? 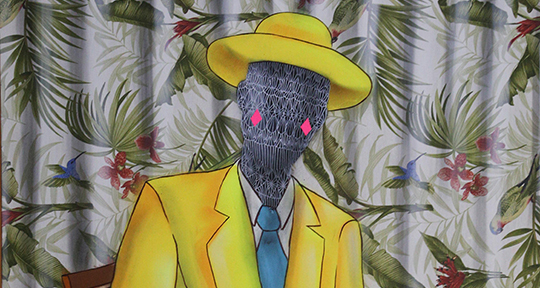 Murathan Mungan (MM): Many people live inside of me. I come from the city of Mardin, in the southeast of Turkey, a city close to Syria and not too far from Iraq. Mardin mirrored the diversity of my own family: my father’s ancestors came to Turkey in the 17th century from Syria, my paternal grandmother’s mother came from the Kurdish regions; my mother’s side is from Sarajevo, which is in Bosnia today. Though I was born in Istanbul, I grew up in Mardin and within a mix of cultures and religions, mingling with people who are Turks and Kurds, but also Assyrians, Alawites, Yezidis, and Armenians. Find respite from the heat with these new reads. 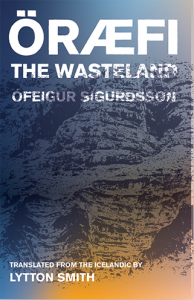 From Icelandic landscapes to art history, August brings with it an exciting new selection of books. 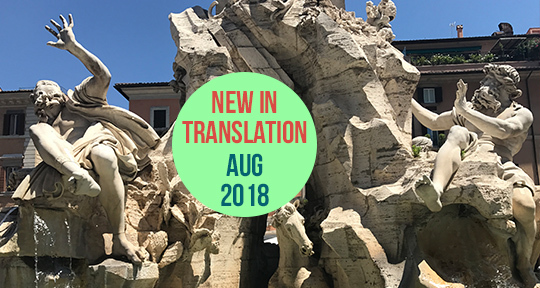 Whether you’re looking for a book to pass the hot summer days, or are in the market for inspired poetry, the Asymptote team has something for you in this new edition of What’s New in Translation. And if that’s not enough, head over to the Asymptote Book Club for fresh reads, delivered to your doorstep every month! The chronicles record that one morning in 1362 Knappafjells glacier exploded and spewed over the Lómagnúpur sands and carried everything off into the sea, thirty fathoms deep… The Province was destroyed, all its people and creatures annihilated; no sheep or cattle survived, no creatures left alive anywhere… the corpses of people and animals washed up on beaches far and wide… the bodies were cooked and tender and the flesh so loose on the bones it fell apart.